Tour operator software company, Tourwriter have announced a partnership with Travel App provider, AXUS. The partnership, which includes a deep integration between the two platforms has been created with the vision to provide tour operators with a seamless experience for creating itineraries and managing back-office processes. “We’re thrilled to be unveiling this integration with AXUS. They’re a great company with a great product and I know our customers are going to find a lot of value in our two systems working together,” said co-founder and CEO of Tourwriter, Glenn Campbell. 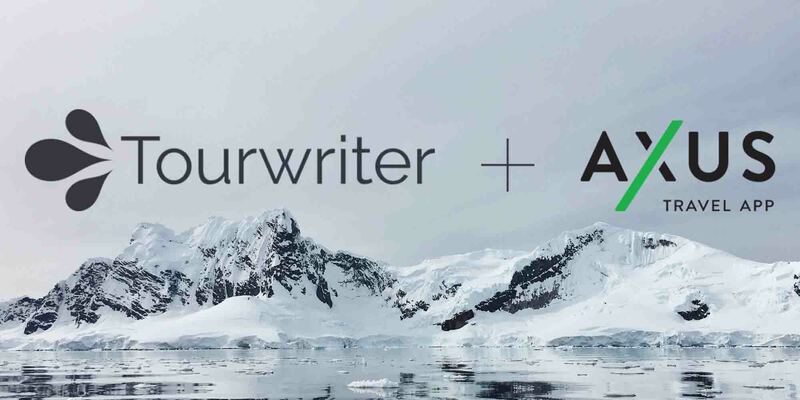 Known and loved for their end-to-end tour operator software, Tourwriter have spent the past 12 months undergoing rapid growth and the new partnership with AXUS is a sign of more to come. “2018 is proving to be a huge year for us, and partnering with such a fantastic company like AXUS is a great progression for both companies,” said Glenn Campbell. In charge of Post Sales and Operations, Stephanie O’Rourke at Cork and Tee was one of the pioneering tour operators to use the integration during it’s beta phase.“By creating itineraries in Tourwriter we are able to retain, track, and modify individual bookings within a program while keeping a database of general descriptions of all tours, providers and pricing,” explained Stephanie. The integration, which is available for all new and existing Tourwriter Enterprise customers will allow tour operators to seamlessly transfer their Tourwriter itineraries into an elegant, mobile-ready travel app. “Tourwriter’s integration with AXUS will empower trip creators and designers to move itineraries between platforms seamlessly and leverage the best of both worlds,” explained head of Product at Tourwriter, Arjun Mehra. AXUS Global Strategic Advisor, Julia P. Douglas couldn’t be more thrilled with the partnership, “At AXUS we believe in saving time for our customers, and integrating with a tool like Tourwriter will take that time saving to a whole new level,” she said, “creating itineraries, making bookings, creating quotes, pricing and business reporting doesn’t (and shouldn’t) have to take tour operators hours any more. This partnership is going to be huge for so many tour operators around the world!” finished Douglas.